Once a Mathlete, always a Mathlete. How Do I Know If I'm an Alumnus/a? Do you feel a wave of nostalgia when you see right triangles because they remind you of the MATHCOUNTS trophy still sitting on the shelf of your childhood bedroom? Do you associate the word "math" with games, fun and those brownies your coach or club leader used to bring to math club meetings? Do you know how to make math problems come to life with nothing more than your creativity and royalty-free iMovie music? Click below to tell us when you participated, and receive email updates exclusively for MATHCOUNTS alumni. A $3,000 award presented to an outstanding alumnus/a whose experience in MATHCOUNTS had an impact on his/her academic or professional pursuits. The 2019 application will be posted by December 2018. 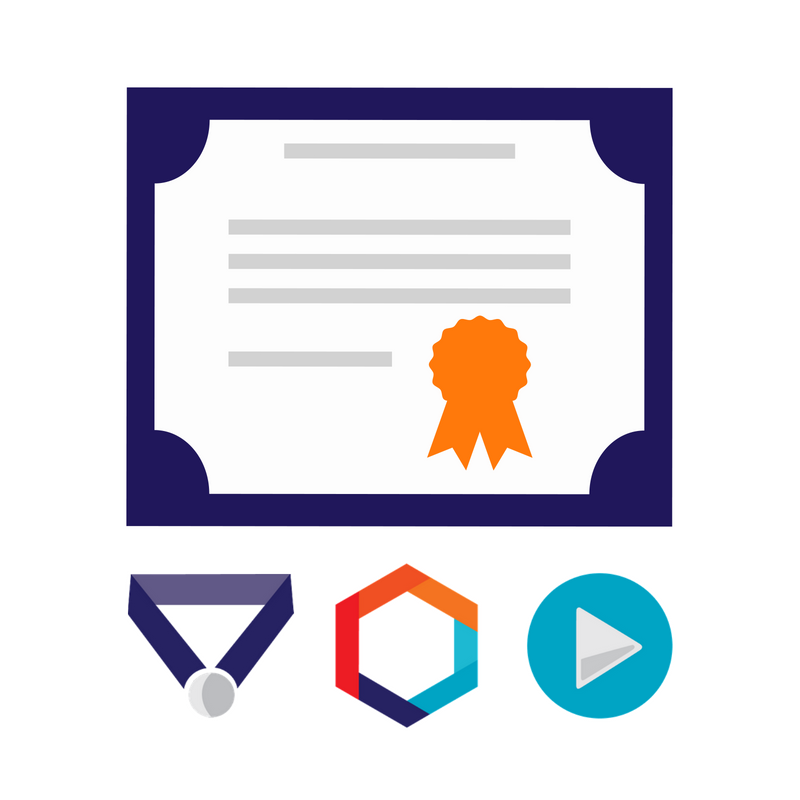 Scholarships, fellowships and more from some MATHCOUNTS sponsors, as well as other organizations that support STEM education. More opportunities coming soon! 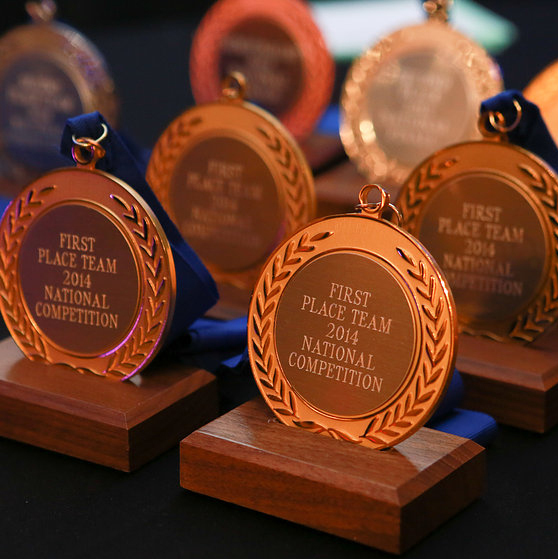 See the past winners of the MATHCOUNTS Competition Series and Math Video Challenge. Page coming soon! 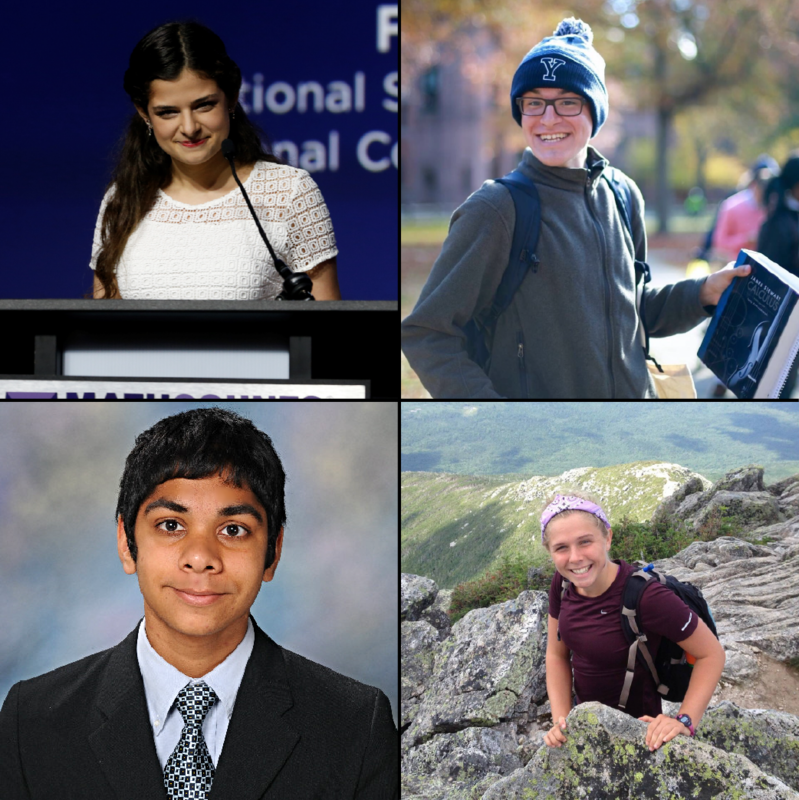 Meet the awesome students whose time in MATHCOUNTS had a significant impact on their academic and professional pursuits...and who have gone on to do great things! 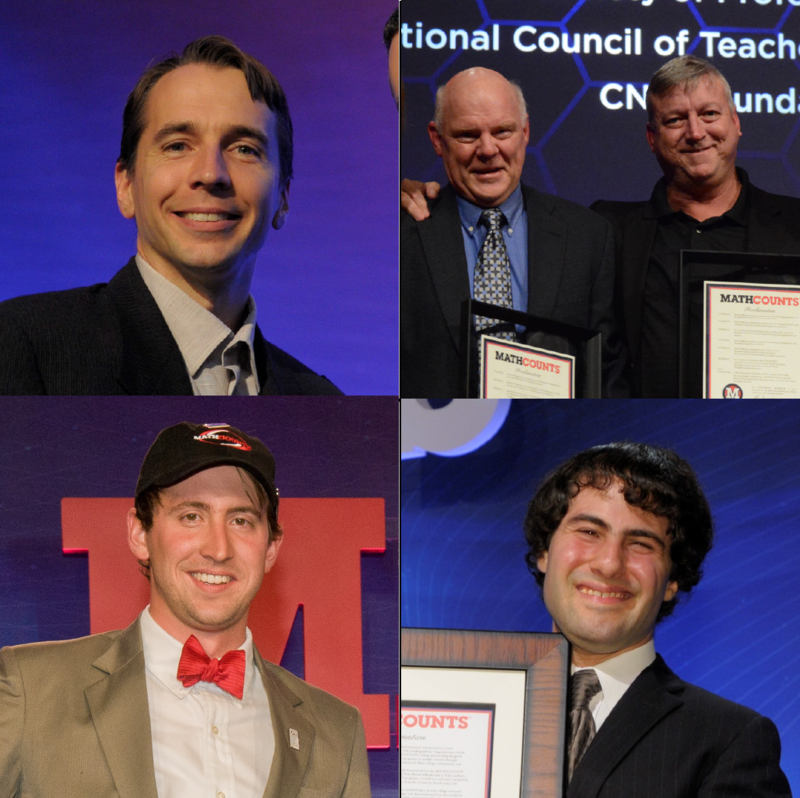 Meet the dedicated alumni who have supported the MATHCOUNTS Foundation and shown a passion for expanding educational opportunities for students.